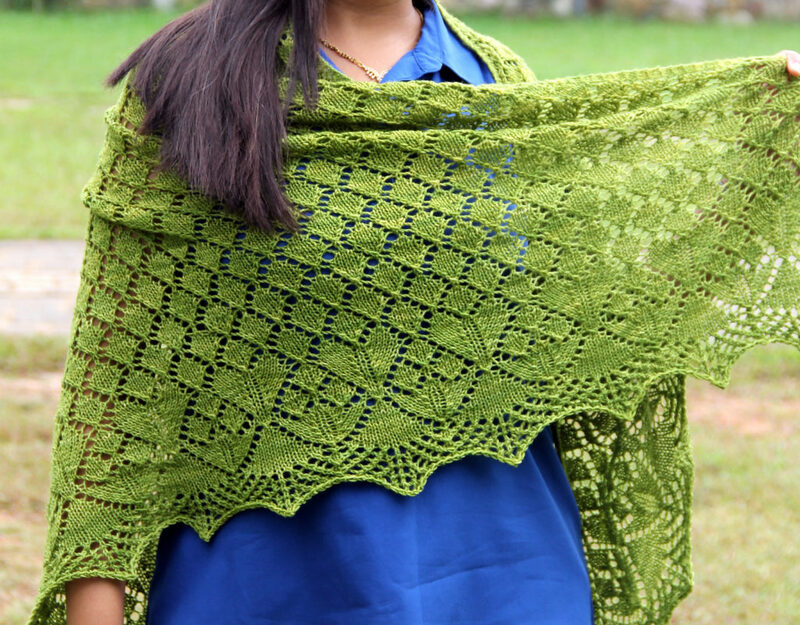 Today’s featured designer is Anjali of Affiknity Designs. GAL is a very exciting time of the year. I love the fact that numerous designers across the globe come together and make this happen. The energy is palpable and the spirit of abundance shines through. I get to see so many new-to-me designers and see the huge collective talent that the designer community has. I am a part-time designer. I work full time as a software engineer and knit or design when I find time. Work can get hectic sometimes and I go without touching knitting needles for days together (and those are not good days). Absolutely. India has a rich textile history and I get too see many textile art in daily life like Bandhani (tie dye), Pochampalli or Banaras sarees and these act as a huge inspiration. My Punto Collection (Hat, Cowl and Shawl) was my attempt at capturing the different hues of Bandhani technique. On a practical note, it does not get too warm here and this definitely influences the items I knit and design. 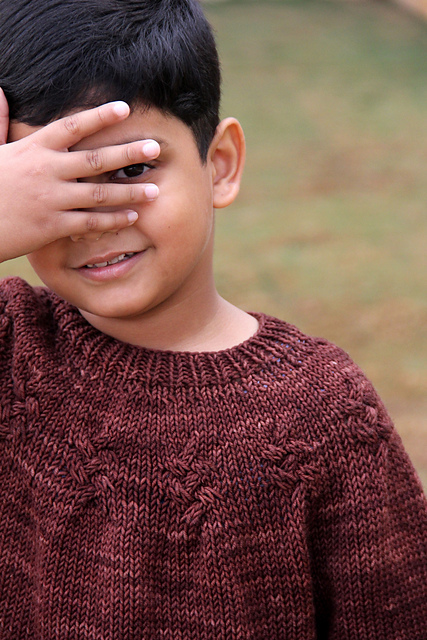 Hence I designed the Grown-up Hira cardigan, which I get to wear during our short winter. I love designing for babies and children. They are quick to knit up and we (designers and knitters) can experiment since babies don’t tend to complain about what we make them wear. What’s your favourite knitting to give? I am not a gift knitter. On the contrary, I am a selfish knitter. Not many people know the value of a hand-knitted item and wouldn’t care for it well, so I am very choosy about who I make hand-knit items for. One exception to that rule is any newborn baby in our extended family gets a hand-knitted gift. It could be a sweater, a hat or a blanket or even a toy. And I make these using machine washable yarns.